On Friday 5. 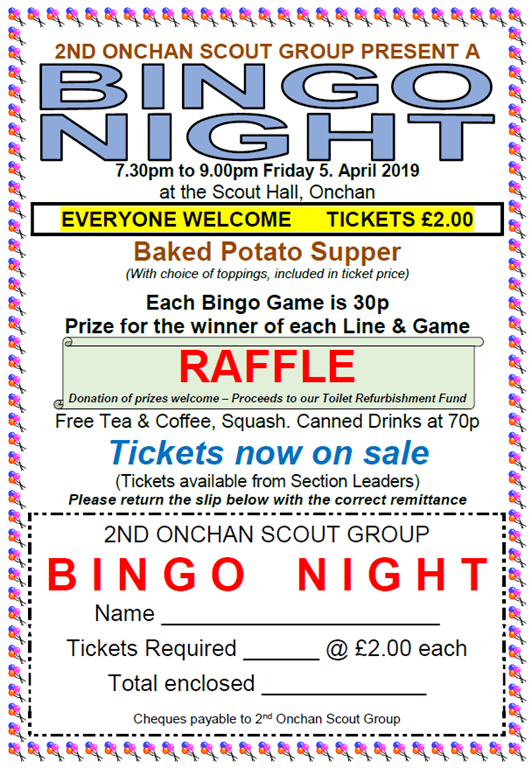 April 2019, we will be holding another of our popular Bingo Nights at the Scout Hall, all our members and their families are invited to attend. Tickets are now on sale at £2.00 each and this includes a Baked Potato Supper. 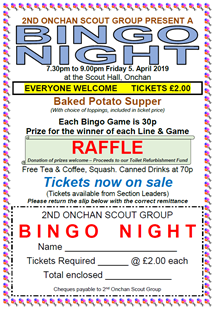 Please support our Social Events, all proceeds go to our Hall Refurbishment Appeal. Tagged Bingo. Bookmark the permalink.